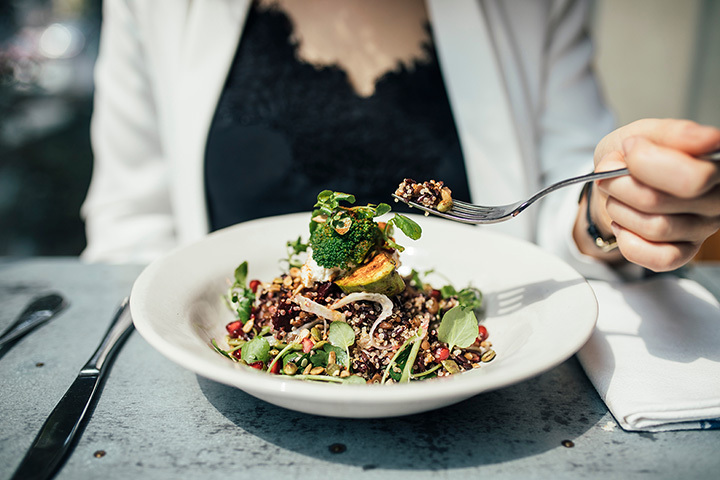 Whether you're on a break from work, enjoying a weekend afternoon shopping with friends, or just looking for a mid-day treat, lunch is the perfect time to visit a favorite restaurant or try a new one. And no matter what your craving, you’ll find something of excellent quality in Mississippi. Here are 10 of the greatest lunch spots around the state. The Blue Rooster is the perfect place to stop for lunch in the Jackson area. Their burgers made our list of the top burgers in the state, but they have plenty of other great options as well. Try the Rooster Club, a grilled chicken sandwich with honey mustard and pepper jack cheese. T-Bones Records and Cafe is a unique and fun place to grab a bite for lunch. Their cuisine is classic cafe fare—soups, gourmet salads and sandwiches, and coffee—but it's their record collection that sets T-Bones apart. Drop in for the Jazz Brunch every Sunday, and keep an eye on their Facebook page for upcoming listening parties! Vietnamese food is great for lunch—it's flavorful and filling, but usually won't weigh you down. Little Saigon is an authentic Vietnamese restaurant in Brandon. If you're a fan of pho (and who isn't? ), their broth is prepared for 12 hours before being served, making it one of the richest and most flavorful you'll find. If you're in the mood for Greek for lunch, try Krilakis in Ridgeland. The service here is fast and friendly, the prices are reasonable, and they serve some of the best lamb gyros you'll ever have. In addition, the owner Drew Creel is dedicated to creating the best customer experience possible, and he can often be found talking to his diners. Leo's Cuban Kitchen was opened by Leo and Carmen Dopico, Cuban natives whose dream of coming to America was realized in 2007. The atmosphere is cheerful and colorful, the staff is warm and friendly, and the food is authentic and delicious. Try the seafood paella, empanadas, and fresh plantain chips! Shaggy's is known for their colorful buildings, beachy menus, and incredible views. They've now expanded to three locations all along the Gulf Coast, each with outdoor seating to make the most of the beachside setting. Grab a friend and enjoy a cocktail (or two) with your lunch while enjoying the ocean breeze. You might not have heard of Louisville, Mississippi, but this little town halfway between Philadelphia and Starkville is home to Market Cafe, a quaint little eatery with big charm. Their food is perfect for lunch—you can't go wrong with the fresh salad bar, Asian chopped chicken, or spicy shrimp tacos. Mediterranean food is full of fresh, healthy ingredients, making it perfect for lunchtime. At Aladdin Mediterranean Grill, guests enjoy some of the best homemade hummus you'll find in the state, along with authentic dishes such as lebna, chicken and beef shwarma, and dolmas. Thai Lotus is located in downtown Gulfport, making them the perfect place for busy professionals to stop and get a quick lunch. The food is a blend of Thai and Vietnamese cuisines, It's all made with fresh ingredients, and the staff is friendly and personable. Don't miss the Thai Spring Rolls with peanut dipping sauce! Once you try Boondocks Grill in Pontotoc, you'll crave the food until you get back again. In addition to their regular menu, which features inspired Cajun-style dishes, they also have a daily special—sometimes entrees, sometimes sandwiches, but always delicious.